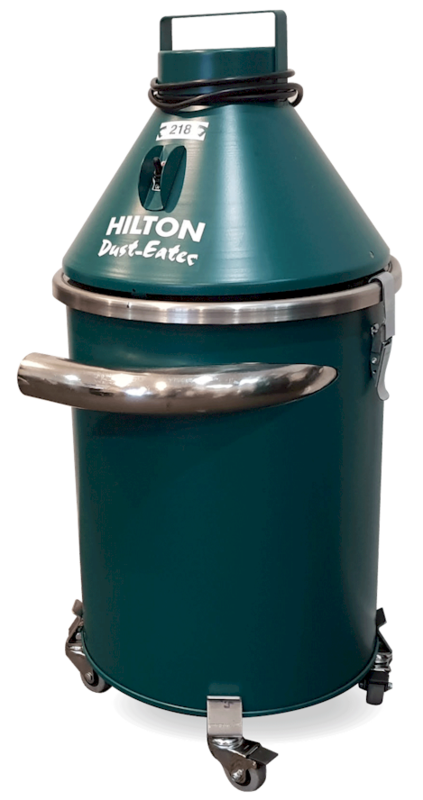 There are many commercial vacuum cleaners on the market, but when you need portability, job quality, and your work environment is unforgiving, the Hilton Dust Eater Jr at only 16kg, is the Commercial /light weight Industrial H13 Filtration Vacuum Cleaner you need to have! 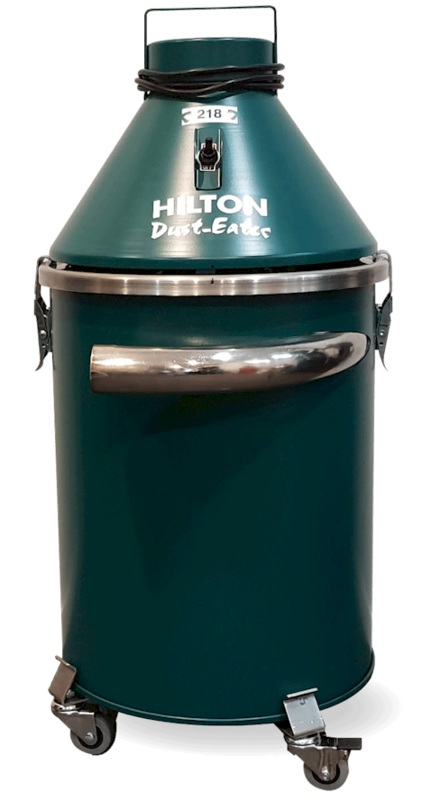 Tackle difficult dust with sustained suction, and unsurpassed cleaning capability – now available in a compact form for easy portability. Advanced H13 Filtration – Built upon the revolutionary non-clog cyclonic A.F.P.T., or Air Filter Path Technology of the Dust Eater Vacuum. This technology involves centripetal partial pre-separation in a tuned cyclone. Geometric forces prevent build up and clogging of the vacuum, with the H13 Filtration Multi-Sock filter section. 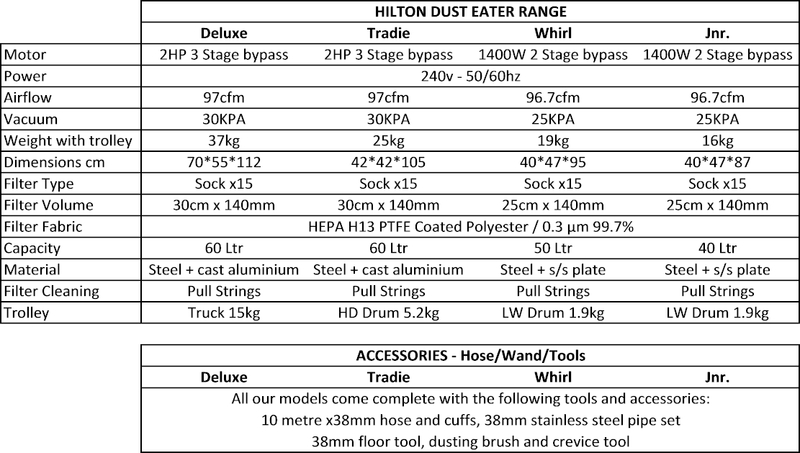 Expect the rock solid durability you would only find in much larger, expensive, specialist industrial vacuum cleaners. *Attex rated motors available for explosive materials on request. Differs to standard model shown.